American SUV manufacturer Jeep made its debut in Indian car market. After three years of wait, this fiat-owned car maker announced two popular models the Grand Cherokee and Wrangler Unlimited. 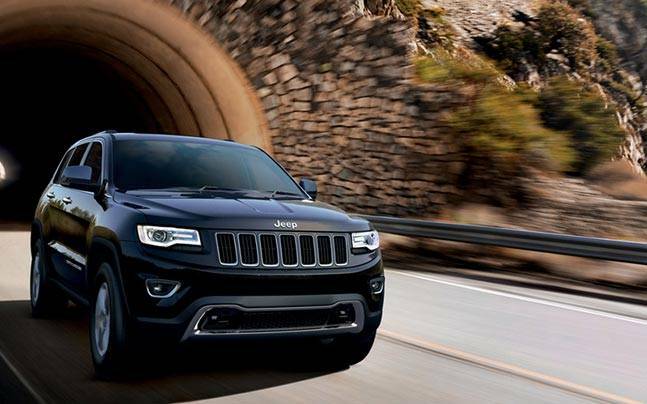 Another variant in Grand Cherokee, SRT will be the company’s Flagship model in India. The company is setting up showrooms in India and making its move to commence operations with its first dealership in Ahmadabad. Grand Cherokee and Wrangler Unlimited come out with diesel-powered engines, and petrol will drive Grand Cherokee SRT. It is expected that Jeep would launch their typical muddy, off-road setting for the launch of vehicles as it is familiar for its brand name. 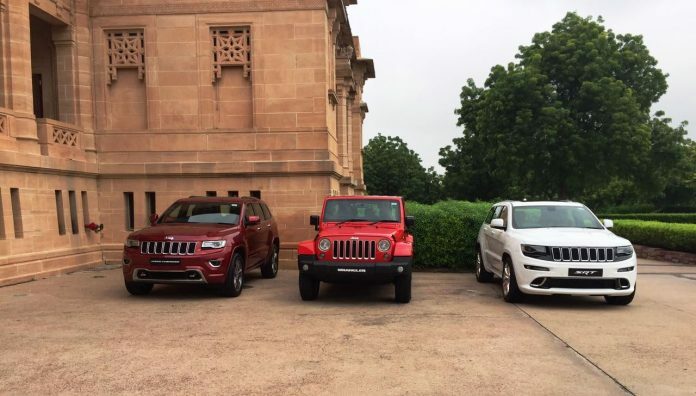 Instead, Jeep has opted a luxurious setting in Jodhpur. The prices for these models from Jeep shocked the Indian market as the Grand Cherokee, priced from Rs. 93.64 lakh to Rs. 1.03 Crore and Rs. 71.59 lakh for iconic Wrangler Unlimited. A high-end variant in Grand Cherokee, SRT Is priced at Rs. 1.12 crore. The Jeep Wrangler Unlimited is equipped with a 4-cyclinder and 2.8 engine which turns a 200bhp of peak power and releases a torque of 460Nm. The SUV also sports a four-wheel drive setup with diff-locks and off-road spec tires that add to its capability. On the other hand, diesel-powered Grand Cherokee gets a 3.0-litre turbo diesel engine which makes 240bhp and offers 12.8 km/l. The top one in the range Grand Cherokee SRT gets an SRT 6.4-litre Hemi V8 engine which pumps out 470bhp. Grand Cherokee may take the lead in the market of modern Jeep as the new-age buyer in India prefers SUV design and styling than the Wrangler. 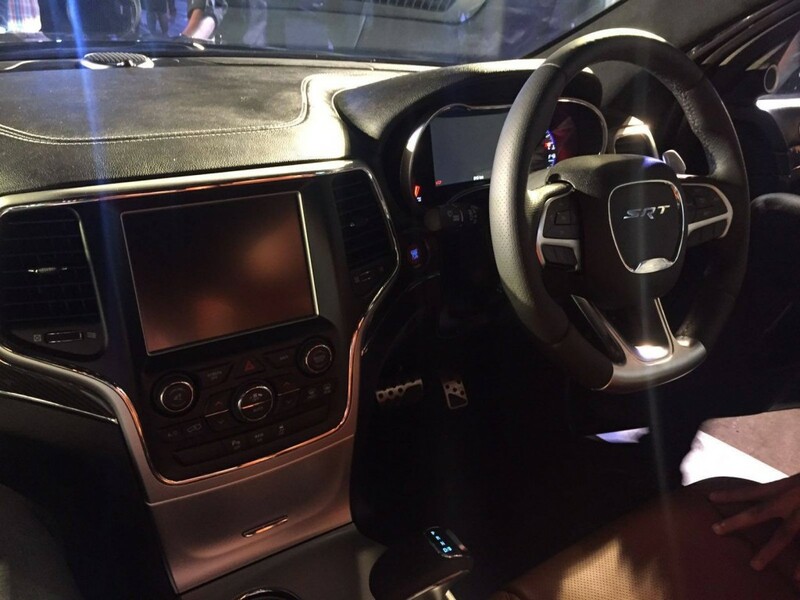 Interior design in the Grand Cherokee is far better and so the features of the car. Presently, Jeep is having a dealership in Mumbai, Delhi, Ahmadabad, and Chennai. Operation in other cities in the upcoming months will be available for a total of 10 dealerships to get a good number of sale units. Jeep will start its assembly operations in India for its C-SUV in future. Jeep’s entry to into Indian Automotive market is much welcomed. But the point is all about offering an after-sales service network which helps to make their mark in luxury SUV segment in the country.